WASHINGTON — Despite U.S. support, the Afghan government’s surprising new peace offer to the Taliban is immediately running into a wall. The insurgents show no sign of shifting from their demand that talks for a conflict-ending compromise take place with Washington, not Kabul. Laurel Miller, who until last June was a senior American diplomat for Afghanistan and Pakistan, said the U.S. should be clearer about what it’s willing to negotiate on, including when it might start pulling forces from Afghanistan. “That could set the stage for talks,” she said. Such a timetable seems a remote prospect, and President Donald Trump has consistently railed against the idea of telling the enemy when the U.S. might leave. The U.S. involvement in the Afghan conflict is now in its 17th year, and 10,000 Afghan civilians were killed or wounded in 2017 alone. All sides are hung up on even the format for potential negotiations. The Obama administration’s peace push, which relied heavily on Afghanistan’s neighbor Pakistan, floundered in 2015. Afghan President Ashraf Ghani’s new effort, announced at an international conference in Kabul this past week, includes incentives for insurgents that join negotiations and enter the political mainstream. The government would provide passports and visas to Taliban members and their families, and work to remove sanctions against Taliban leaders, he said. The Islamist group could set up an office. With wounds and emotions still raw in Kabul after a wave of brutal Taliban attacks in Kabul in late January, Ghani’s offer was a significant olive branch. 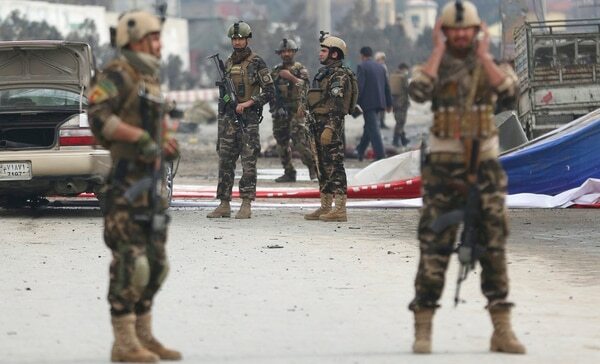 Still, it’s one unlikely to change the calculus of hard-line insurgents, said Michael Kugelman, senior associate for South Asia at the Wilson Center think tank. Top Afghan security officials maintain back-channel discussions with Taliban, The Associated Press has learned, but the officials’ efforts are not coordinated and more formal talks are impeded by the Taliban’s insistence that its “Islamic Emirate,” ousted in a U.S.-led invasion in 2001 for hosting al-Qaida, remains Afghanistan’s legitimate government. “America must end her occupation and must accept all our legitimate rights including the right to form a government consistent with the beliefs of our people,” the militant group said in a rambling Feb. 14 letter addressed to the American people and “peace-loving congressmen.” It sought “peaceful dialogue” with Washington. Events on the ground are moving in the opposite direction. The situations in Afghanistan and Syria have deteriorated to a point where the U.S. has few options left, said former Secretary of Defense Chuck Hagel. Since August, when Trump recommitted America to an indefinite military presence in the country, the U.S. has sent in thousands of additional forces to train Afghans, bringing the total U.S. troop figure to more than 14,000. The U.S. has intensified airstrikes, though there has been no significant dent on the Taliban, which control or contest nearly half the country. 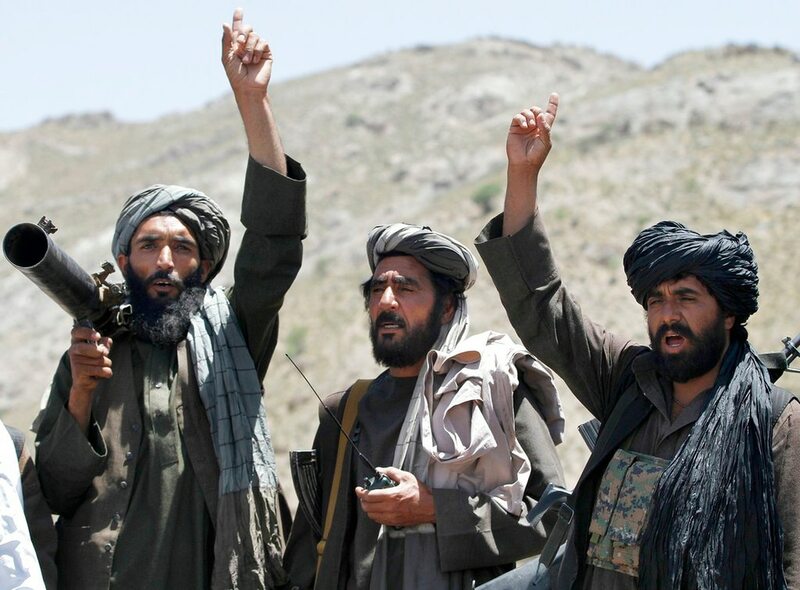 U.S. officials have conveyed messages to Taliban political representatives in Qatar, urging the group to join talks with the Afghan government. Neighboring countries are doubtful about America’s commitment to a political resolution. Pakistan, Iran and Russia are thought to maintain ties to militant proxies inside Afghanistan in case the war-ravaged country collapses. Miller, now a senior foreign policy expert at Rand Corp., said peace would require heavy lifting by the Trump administration, which has yet to appoint a top diplomat for the region. The war might need international mediation.